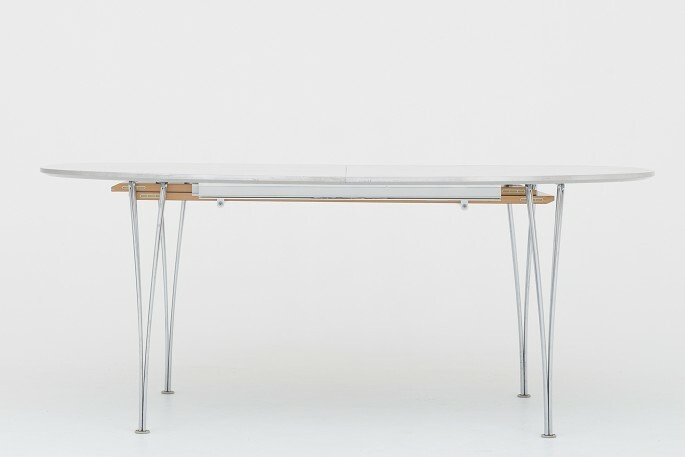 "Superellipse" table with grey laminate and steel legs incl. two additional plates of 60 cm. each.